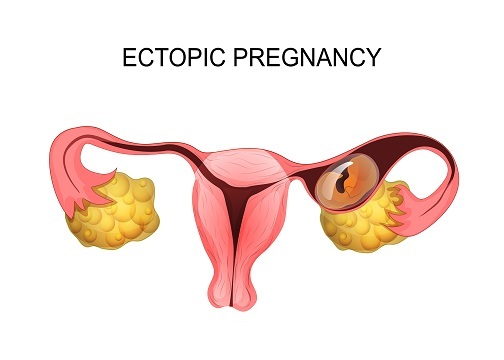 Ectopic pregnancy is an abnormal condition of pregnancy in which implantation, i.e., attachment of embryo occurs in sites other than the inner wall of the uterus called endometrium. Most ectopic pregnancies occur when the embryo binds to the fallopian tube and is then called tubal pregnancy. Such a condition of pregnancy might lead to impacts on the health of both mother and fetus, frequently leading to miscarriage. An ectopic pregnancy occurs in 1 out of 50 cases. The mother might suffer from severe symptoms of ectopic pregnancy like vaginal bleeding, gastrointestinal problems, frequent urination, extreme light-headedness and fainting as well as excessive pain in the womb. Who is at risk of an ectopic pregnancy? In fact, who is at a greater risk than normal conceiving women? Mother’s age is between 35-44 years. Former abdominal or pelvic surgery. PID (Pelvic Inflammatory Disease) or Endometriosis. Conceiving after tubectomy, i.e., ligation of fallopian tube or while IUD is being used. Undergoing fertility treatment and taking medications accordingly. How to treat yourself if you’ve been experiencing ectopic pregnancy once or more than once? If for some reason, your fallopian tube has ruptured or stretched and has been bleeding profusely, the defected part of the tube can be removed and bleeding must immediately be stopped by surgery. Methotrexate, which might save the fallopian tube by absorbing pregnancy tissue, can also be prescribed by the doctor. Laparoscopic surgery can also be conducted under mild anesthesia to remove an ectopic pregnancy. Now, the most important question. Can a fetus survive after operating on an ectopic pregnancy (or without)? How does an ectopic pregnancy affect future chances of conceiving? A fetus cannot survive in an ectopic pregnancy and abortions are often advised in such cases to protect the mother’s health too. An ectopic pregnancy might or might not have impacts on future conceptions. It mostly depends on the medical history which caused an ectopic last time round. If the fallopian tubes have been kept impact and the ectopic tissue removed, there are 60% chances of getting pregnant again.